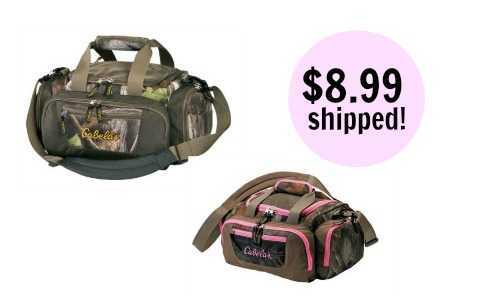 Right now Cabela’s is offering the Catch-All Gear bag for $9.99 (regularly $24.99). Use code 16CAVE at checkout to get an additional 10% off, making the bag $8.99! You’ll also receive FREE shipping! Choose between camo and pink camo. These bags are weather resistant and great for the outdoors. This deal was really popular last year, so grab yours while it’s available.